This piece was designed to apply a technique I wanted to practice, in a non-traditional shape. It started with the peacock veneer pattern, overlaid on a funkified federal tabletop shape. 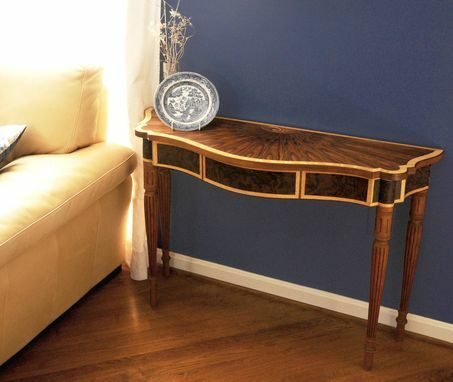 The base evolved from an 1810 Boston Federal card table. 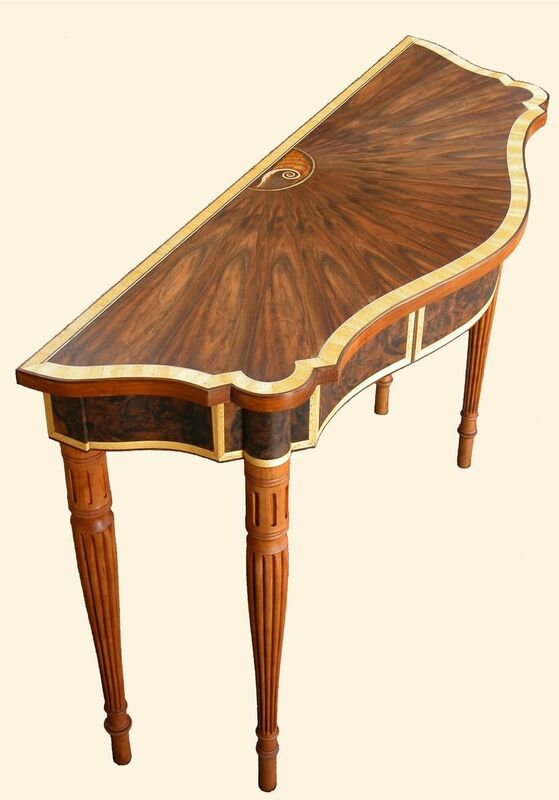 The shell was inlaid, and based on traditional marquetry patterns. 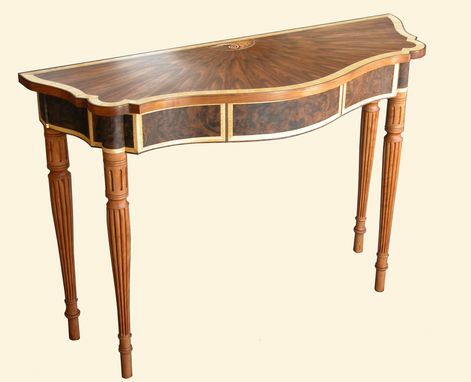 The legs are cherry, the top french walnut and satinwood, and the rails are walnut burl and satinwood. 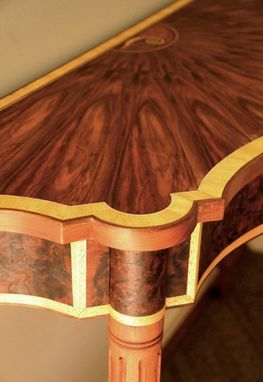 I have enough French walnut veneer to make one more of these. My supplier doesn't have any more either.